Click here for our HOME PAGE Building a survivor community. Together we can do what we can not do alone. NAASCA is a non profit organization offering numerous FREE services. We're passionately engaged in fighting against childhood trauma of all types, be it experienced through sexual assault, violent or physical abuse, severe emotional trauma or neglect. Our volunteers, made up of adult survivors on a healing journey and our many friends, believe in a three tiered approach including prevention, intervention and recovery. We belong to no other group, and receive no funding. We do our work out-of-pocket, depending entirely on the voluntary contributions of our members, friends and supporters to be self-supporting. All we offer is free. We're all non-paid NAASCA Volunteers, and everyone is involved to some degree with OUTREACH (spreading the word about NAASCA) and helping to FUNDRAISE (encouraging financial contributions to support our efforts). Unfortunately, the average time for an adult survivor to begin a healing journey is when he / she is their early 40s. NAASCA wants to reach the young adult survivor, saving them decades of suffering in silence, and we now have a plan to do so. We're delighted to present NAASCA family member Tori De Las Casas (21 year old college student) from Louisiana, who'll lead our new 'Outreach to Young Adult Survivors' program! Tori can be reached by email, and you can hear her tell her story on our talk radio show. We've grown significantly over the past decade and are now providing a new tool, NAASCA's Ambassadors for the United States and Canadian. We've divided them into 10 regions, 8 in the US and 2 in Canada, with 6 or 8 states or provinces in them. Each will have it's own 'Ambassador' by way of organizing our efforts. These volunteers will be trained by Terri Lanahan (Montana) with a basic familiarity with our web site, projects, tools, services & resources, and a commitment to represent NAASCA in their state or province. We now carry non-recurring calendar event listings for everything we know of .. from across the country, and around the world. This is a brand new tool, where we'll list workshops, conferences, rallies, marches and so on. We started with the United States and Canada, but now have a listing for virtually every country on earth. Send us your non-recurring events. We'll list them !! NAASCA lists all groups and services we know if in all the US States & Canadian Provinces (including "On-Line" recovery groups) as well as all groups and services in English speaking countries worldwide! A living and constantly updated list, we invite the public to interact with us, suggesting corrections, additions and updates which quickly appear as individual easy to use PDF files. This is one of our most popular service projects. There's a need for many more local recovery groups than already exist, and NAASCA will help you, and can suggest at least four ideas for easy-to-establish recovery group programs / formats in which we believe. If you can't find an Adult Survivor Recovery Group near you won't you please consider starting one in your own home town. As few as two people seeking recovery can launch one. See the ideas listed here. On occasion we've sent out a newsletter to our current contact list. As our membership increases we'll use this vehicle more often, perhaps monthly or perhaps quarterly and we'll always make it easy to add or remove oneself to the NAASCA Newsletter. Please join the newly updated Newsletter list and encourage others to stay in touch with us this way, too. We've created a number of new tools that will help you promote our NAASCA name, your commitment to our mission and ideas to get people talking about the important issue we address .. child abuse and trauma prevention, intervention and recovery. You'll find various products with the NAASCA logos .. business cards, t-shirts, posters, pens, banners, signs, promotional materials, and printed supplies, etc. An umbrella site, our home base at NAASCA.org is updated daily, and carries hundreds of pages of information and articles where you'll find thousands of links to resources and services we recommend in the fight against child abuse. While we belong to no other group, we freely co-operate and promote all efforts we believe are legitimate and useful to the community. Be sure to hover your mouse over the five buttons across the top. Los Angeles Community Policing is our first grassroots non profit effort, and was launched in response to the events of 9-11, encouraging community participation at all levels of crime reduction, public safety and improved quality of life. It quickly grew to include regional, national and even international departments. Designated years ago by the US Dept of Justice as the world's biggest grassroots effort dedicated to the concepts of community-based policing, LACP.org is updated daily, and has well over 6,000 pages of info, articles and resources. Six nights a week we broadcast our Internet-based "Community Matters" This Week (Sun) and "Stop Child Abuse Now" (Mon to Fri) talk shows. All commence at 8pm EST. Each includes chat room and call-in participation and is recorded as it airs. The shows are available "on-demand" the following day. Our ever-growing library of "special guest" shows includes a virtual Who's Who of those who champion the cause against child abuse. Several times a week we feature "special guest" and "special topic" episodes of our "Stop Child Abuse Now" (SCAN) talk shows. These are of special interest, so we make it easy for the public to find them. Browse through the past several year's worth of hundreds of such episodes to select any you'd like to hear "on-demand" with the click of a button! A recent experience between our founder, Bill Murray (who was in Los Angeles at the time), and a group of a dozen young child abuse case workers from The Gatehouse in Toronto proved that SKYPE can be an effective tool by which seminars or workshops can be held. If you'd like to arrange such an event please write Bill at his email address, Bmurray3rd@aol.com, and be sure to mention you'd like to schedule a SKYPE Seminar !! NAASCA's BLOG - We're proud to present a project we've been looking forward to including for quite some time, yet another way for the community to engage with us .. NAASCA's new BLOG. We hope you'll want to join us there !!!! Tell your friends ! We now have a NAASCA family member who will post for the group. Let me present our new "BLOGmaster" (is that a word? ), Mary E Graziano (aka nippercat) from Hamilton, Ontario, Canada. Empowering children means preventing kids from becoming victims. What can you do? How does an adult recognize the symptoms of child abuse? How should one talk to a child? Where / when / how to report child abuse. It's not enough that we "raise awareness" of the issues of child abuse. We at NAASCA know there are too few people who are knowledgeable, passionate and caring enough to take ACTION .. and this is our goal. There are many legitimate paths to recovery, about a dozen of them ranging from Ministry to Coaching to Art Therapy, and we discuss them all. NAASCA does not promote the benefits of any one method over any other, but does strongly recommend adults who are still suffering from traumatic experiences in their youth waste no time in getting on whatever road to recovery appeals to them most. Remember: We're as sick as our secrets. Some of our NAASCA family members offer the free service of helping you find a therapist whose practice is close to you, no matter where you live in North America. These volunteers are professionals who have worked in the mental health care community for many years. There are many types of counseling or therapies available, so these listings will often constitute but a small suggested offering of what may be close to you. Try using this tool if you need counseling / therapy referrals. Over two dozen NAASCA family members place their names, phone numbers, email addresses and locale on a public list that's available on our web site. Feel free to contact any of us at any time. We survivors know all too well how difficult it is to reach out for help .. and how disappointing it is to reach out without a response. We want to always be there to answer questions, suggest resources or just to listen when the time is right. We know of four different recovery groups we can recommend. One, Adult Survivors of Child Abuse (www.ASCAsupport.org), has about 100 meetings. A second recovery group has nearly 120, the Lamplighters Movement (www.theLamplighters.org). Another suggestion is to start a group based on a 12 Step recovery program, Adult Survivors of Child Abuse Anonymous - ASCAA (www.ASCA12step.org). Finally try the simple but elegant Empower Survivors meeting format found on the EmpowerSurvivors.net web site. Don't have a recovery group in your area? We're not surprised. With 42 million American adult survivors of childhood sexual abuse alone, there's a need for thousands of inexpensive (mostly free), regularly held self-help style recovery groups across the country. We happily assist individuals get the simple training they need to become facilitators of new groups they can then start in their local community. Its all about awareness. We want to increase the likelihood that the American public will eventually feel less of a taboo about discussing childhood sexual abuse, violent abuse, emotional trauma and neglect. 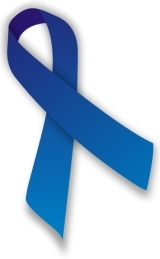 You can assist by agreeing to accept FREE Blue Ribbons, the symbol of child abuse awareness (4 or 5 per person), simply by promising to hand them out to your friends, family or community. We also provide them in quantity at our cost. We're delighted to make special appearances at groups who are interested in engaging in the fight against those who would prey on America's children. We have NAASCA family members from across the country, and will try to find someone who lives near you. Unfortunately this may not be possible in all cases, but we'll work hard to locate presenters who can speak knowledgeably at your group's meeting. Specific NAASCA members, including our founder, are willing to go anywhere in the country to educate the public about the issues of childhood trauma, and to carry our message that it will take all of us, together in a movement or cause, to put a significant dent in the horrible statistics of child abuse. Awareness is not enough. It must be immediately coupled with a call to ACTION, and we believe all adults have a role to play. We regularly update the statistics and official reports we use to be accurate and well informed. The info we use comes from the most legitimate government, non profit and educational sources we can find. We track the stats in a number of ways, including the number of children involved, places to receive treatment as well as offender and crime types, recovery statistics and the cost of dealing with abuse. The stats are all astonishing! Many NAASCA members belong to other non profit groups where they actively engage in writing on topics that are specific to the group's mission. Others are newspaper reporters. Still others have written books which we happily recommend. Then too we occasionally write in our own "NAASCA Voice" or produce video editorials and presentations, a powerful and popular method of getting a message out. We'll be doing more of this. While we work hard at being as accurate with attributing the majority of the information we disburse to their original sources, many NAASCA members generally agree on any number of issues. Its easy to express many of them as common NAASCA causes. We need to raise the fight against the epidemic of childhood trauma to a national priority, with Federal attention to issues of prevention, intervention, recovery and crime reduction. We're self supporting, belong to no other group, and receive no funding. We do our work out-of-pocket, depending entirely on the voluntary contributions of our members, friends and supporters to be self-supporting. All we offer is free. Please make a one time or ongoing donation through PayPal to our efforts. Your support is tax-deductable and much needed as we are trying to get to the next level of our advocacy. Dedicate your birthday to supporting NAASCA. We rely on, and are eternally grateful for, the tax-deductable donations we receive from our members our families and friends .. or from those who appreciate all we do. We've suggested a NEW Birthday Campaign program, dedicating each of our birthdays to our NAASCA family as an opportunity to express our support financially, too. We've made it easy to do, and simple to remember how. Just go to www dot naasca dot org slash contribute and you'll always be at the right spot. NAASCA asks you to wear one everyday .. and to pass them out. We're giving away FREE Blue Ribbons and "info cards" (4 or 5 per person) to anyone who writes for them .. and we'll continue to provide them in quantity and at our cost to pass out to family, friends, neighbors or at local community events. Remember you'll need to include your complete mailing address whenever you're requesting NAASCA's FREE Blue Ribbons & "info cards" since they'll come to you through the US Post Office. Here's a page of statistics and official reports, updated regularly, info from the most reliable government, non profit and educational sources we can find. The numbers are all absolutely astonishing! FACT SHEET - Statistics of Child Sexual Abuse - Who Are The Victims? NAASCA recently encountered an excellent FACT SHEET on the statistics of Child Sexual Abuse (CSA) which will be helpful to helping raise awareness and educate the public. The uniformed reader will no doubt be stunned. 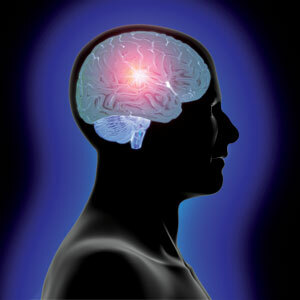 New research shows that witnessing traumatic events, like domestic violence, shootings, or even fighting, can impact the physical development of a child’s brain — potentially leading to lifelong health and social issues. You can help. Signs of sexual abuse and trauma in a child include many non-physical symptoms, like behavior, attitude and performance changes. Learn how to talk to a child and what to do about it / where to report suspected abuse.